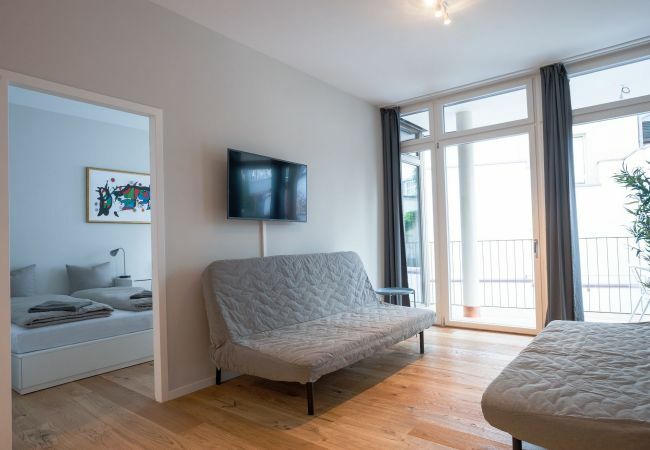 This spacious and modern holiday apartment with 2.5 rooms is ideal for your holiday in Basel. 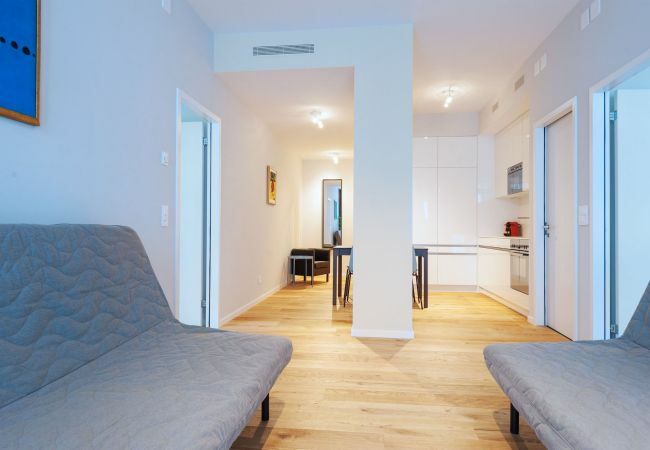 The apartment impresses with its elegant design, extends over 63m2 and can accommodate up to five guests. In the bedroom, there is a large double bed as well as a single bed. 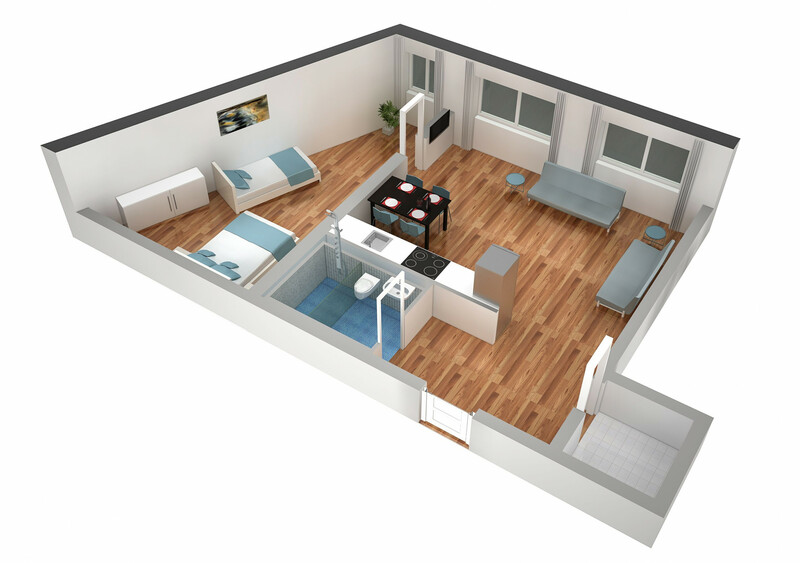 In the living room, there are two sofas with pull-out function. In the living room, you will also find a settee with dining table and chairs. Directly adjacent to the living room is the large open kitchen. Here you find all possibilities for cooking: Crockery, cutlery, pans, hotplates, oven, microwave, refrigerator, dishwasher and coffee machine. The bathroom is equipped with a WC, shower, hairdryer and a starter set of hygiene articles (soap & shampoo). 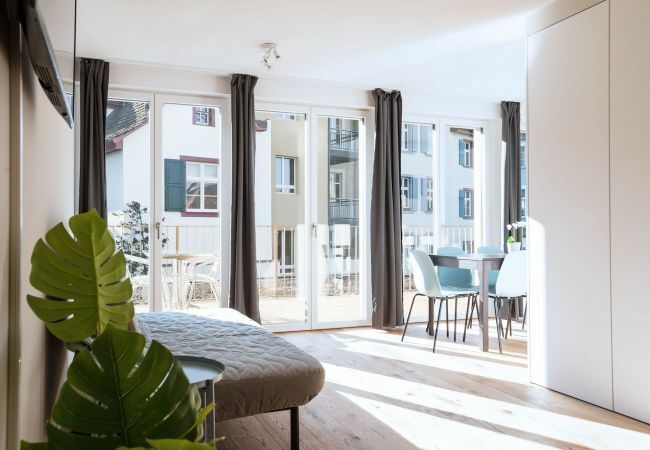 The holiday apartment is in an excellent location in the Erlenmatt district. The district was designed according to the principles of sustainable district development and received certification as a 2000-watt site in 2017. 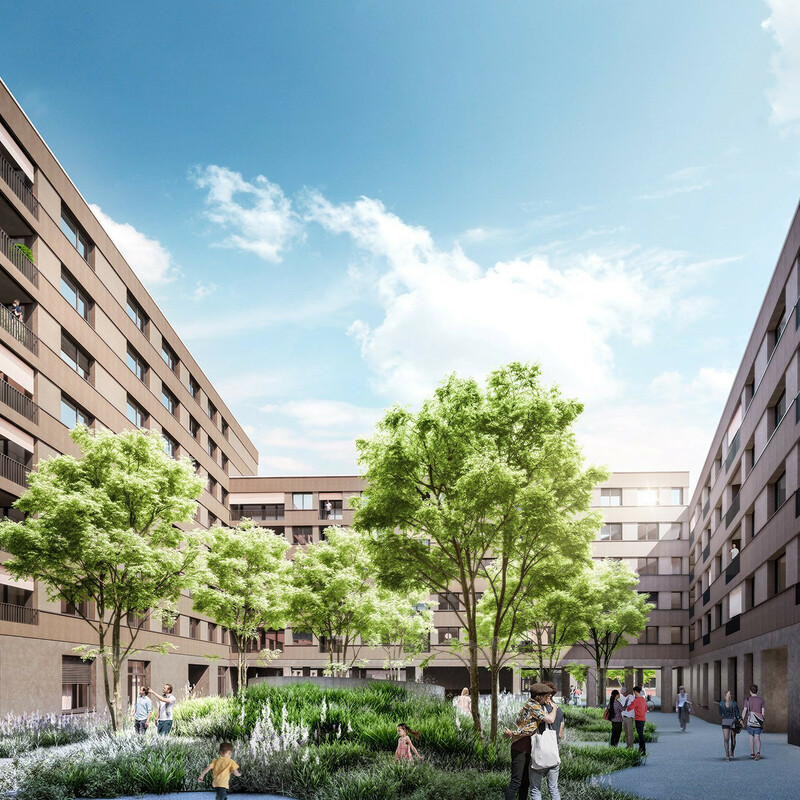 The Erlenmatt district combines urbanity with nature and meets all modern requirements for living, working, leisure and sustainable action. A large park is located in the center of the area. 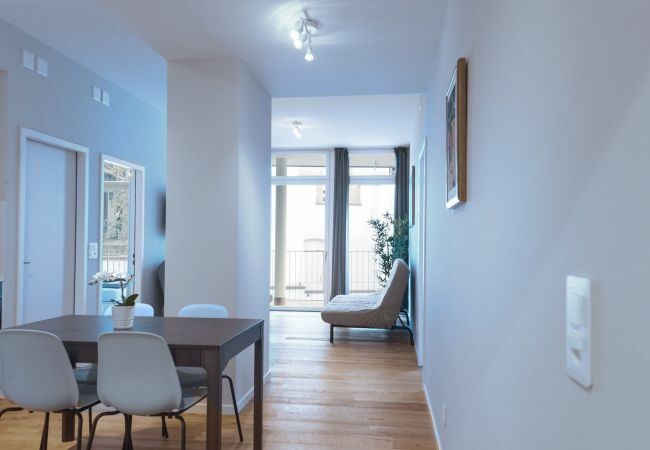 The holiday apartment is located in the Bâleo Erlenmatt building. It combines a wide range of uses, offers and lifestyles. For example, there is a Coop supermarket, a coffee & tea shop, a nursery and a fitness studio. The Bâleo Erlenmatt is optimally connected to public transport. 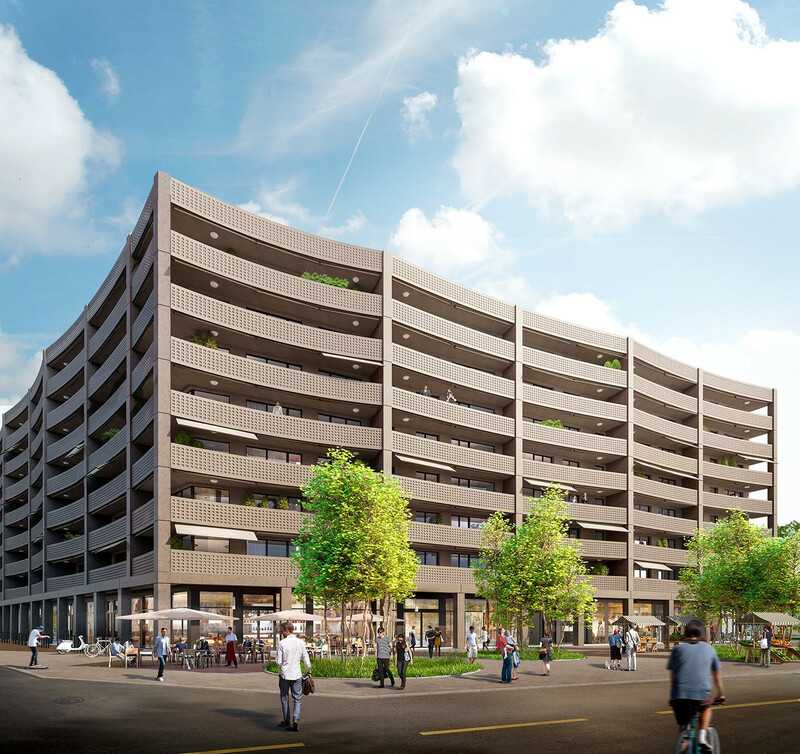 The EuroAirport can be reached within 10 minutes and the Badischer Bahnhof train station is only 500m away. The bus stop Basel, Erlenmatt is also directly in front of the building. From there, various buses will take you to Basel SBB station, the old town and all the sights. 1 Queen size bed, 1 Single bed, 2 Sofa beds double. 1 TV, TV Satellite, lift, iron, internet (Wi-Fi), hair dryer, 63 m² property, pet-friendly (Dangerous breed dogs not allowed), central heating.